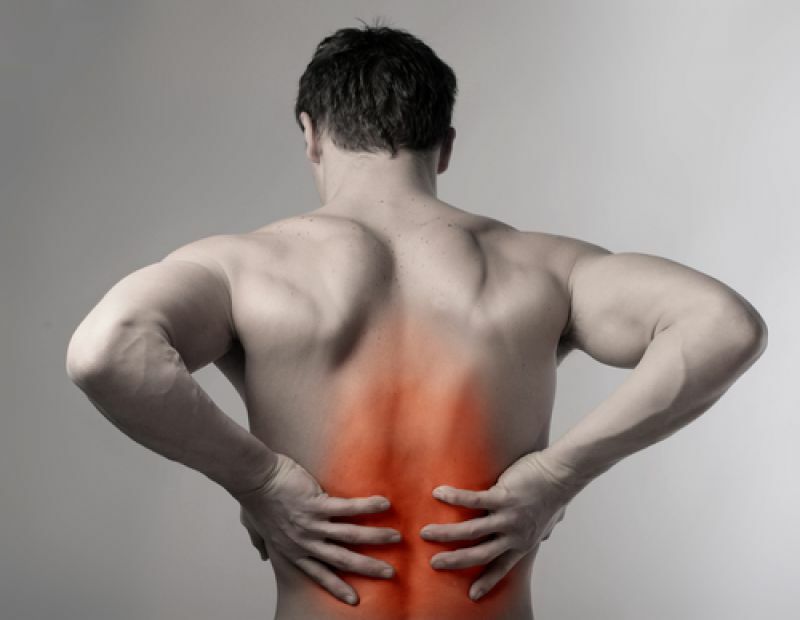 A total of 84% of people worldwide will experience back pain during their lifetime. It is equally common across all age groups, from young to old, and it doesn't get worse with age. Therefore, it should not be seen as a result of ageing or "wear and tear". Mostly people recover reasonably quickly, and many recover without the need for treatment. Most people think the spine is something that needs to be protected. This is incorrect and has led to the provision of information and treatments that promote fear, protective guarding, avoidance and disability. People often move differently when in pain, giving the impression that something has gone out of place. However, scientific research has clearly shown that these structures do not go 'out of place' or 'slip'. Manipulation can provide some relief for this, but the benefit is due to changes in the nervous system and muscle relaxation - not due to realigning of discs and joints. Like other body parts (for example the knee), the back is designed to move and adapt to many activities. It is important to be conditioned to lift and to be shown how to lift heavy things correctly and safely. In the same way that a person can get a sore knee after doing an unaccustomed activity, people can get back pain when they lift something awkwardly or a weight that they aren't used to. People will use different techniques to lift that they find more comfortable and efficient, just as people will have a different running technique. The key thing is practice and letting your body get used to different loads and weights. Seeing a physiotherapist may therefore be helpful. Contrary to popular belief, exercise is helpful for back pain. Unfortunately, many people are given frightening information about exercise. People are often told to avoid running, avoid swimming the breast-stroke, and to stick with low-impact activities like walking. These activities may be sore initially, but they are not damaging to your back. Doing them in a relaxed manner (moving normally, not bracing and not breath-holding) and progressing gradually is more important. Below are 10 facts about low back pain and exercise supported by the research provided by Dr Mary O’Keefe et al. Staying as active as possible and returning to all usual activities gradually is very important in aiding recovery. You can start by doing some gentle activity and then increase your levels when you feel confident to do so. Scientific studies now indicate that prolonged rest and avoidance of activity for people with low back pain actually leads to higher levels of pain, greater disability, poorer recovery and longer absence from work. Exercise can significantly prevent the recurrence of an episode of low back pain. Exercise also helps reduce low back pain and disability levels, when people stick with it in the long-term. Many people start moving slowly and minding themselves. Moving slowly and tensing actually puts more strain on your muscles. Doing the exercises in a relaxed manner (eg, moving normally, not guarding and not breath-holding) and progressing gradually is also important. People should do an exercise that they enjoy, that is affordable and easy to access (e.g. not too far or difficult to fit into your daily routine). For example, walking, running, cycling, swimming, yoga and pilates, all have similar effects for back pain. Underused muscles get sore more quickly than healthy muscles. Feeling stiff and sore after exercise does not indicate harm or damage to your body, it simply reflects your body not being used to the activity. The amount of exercise you do is probably more important than the type of exercise. The greatest gains result when an inactive person starts doing any exercise. Getting more than 150 minutes a week has the greatest health benefits. Scientific research does not show that any of these activities are bad for your back or “wear out” your joints. The amount of exercise you do is more important than the type of exercise. Any amount you can manage will result in benefit, but more than 30 minutes per day would be ideal. This is a fact that is often overlooked as part of the management of low back pain. Be aware too that all low back pain is not the same. So if you have tried one form of exercise that has not helped you, talk to a physiotherapist who can set a specific programme. Underused muscles get sore more quickly than healthy muscles. Feeling stiff and sore after exercise does not indicate harm or damage to your body, it simply reflects your body not being used to the activity. This blog was provided by Karl, from Baraks Physiotherapy Clinic based at Fitness4Less Brierley Hill. Karl has a vast range of experience treating all musculoskeletal conditions of both the upper and lower limb including sports injuries but has particular interest in back pain.